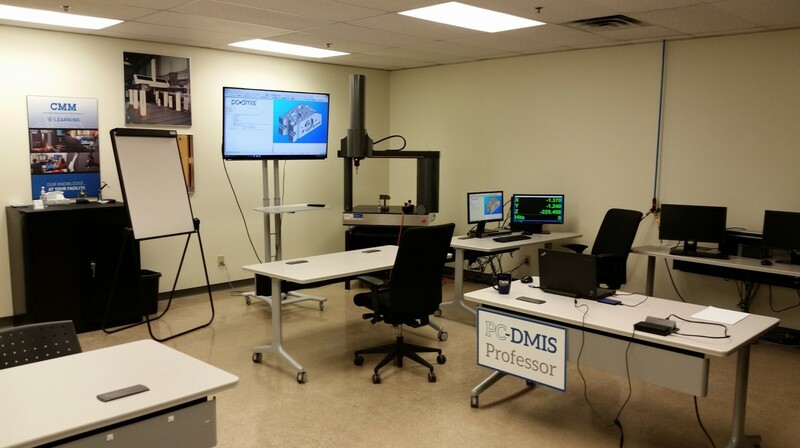 PC-DMIS/Polyworks Professor + Scanning Products Review - CMM Inc.
Our CMM Professors Share Their Knowledge! This past week we opened our doors to our customers for a rare chance to consult with 2 of our resident CMM Applications Specialists: Grant Sewell (PolyWorks) and Trevor McLaughlin (PC-DMIS). 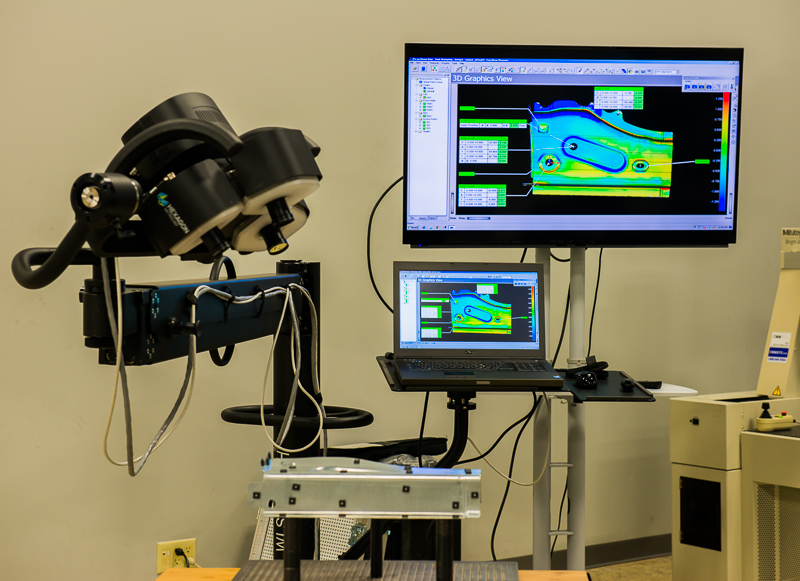 This 2-day event was a reappearance of the hugely popular “CMM Professor” booths we had set up at our Windsor Knowledge Tour back in December. Visitors came from as far away as Windsor and brought with them challenging programming questions, complex CAD models and “impossible” alignment structures. Our professors rose to the challenge and provided the solutions our customers were looking for! In total we hosted around 30 customers from a dozen or so companies. Not a bad turnout for the middle of the summer when many companies are on shutdown or covering for vacationing staff! Stay tuned for another similar event later this year. This event also provided us an opportunity to promote our brand new Fundamentals of GD&T course which we will be offering starting this September. Visit the training section of our website for more details on this course. 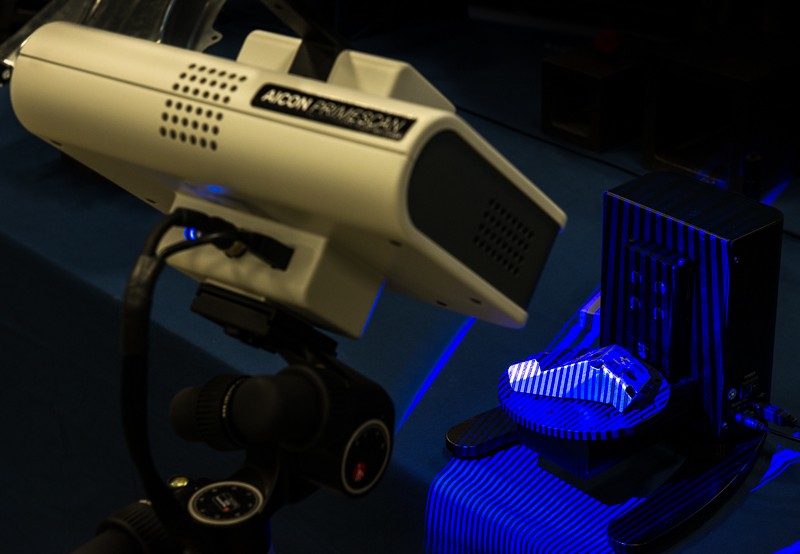 Our Sales staff were also busy in our showroom demonstrating the latest 3D Scanning equipment: The WLS qFlash, the new and improved RS4 Romer Absolute Scanning Arm and, our feature item… the AICON SmartScan! We’re all very excited about the potential of this new and affordably priced white light scanning system. Our Applications department has been busy getting up to speed with the Aicon and will soon be incorporating this new system into our training schedule. Visit our website regularly for updates on events, training and the latest in the many different measuring solutions we offer!